as a teacher. Certifications for a type of technology can show that you are proficient or at least a working knowledge of the software. Here are three certifications you might want to try. This was one of the first certification programs and is one of the most difficult to achieve. To become an ADE, you need to demonstrate you integrate Apple products in innovative ways through a 2-minute video. They give some advice for how to do this, but planning early is important. Apple Teacher is the ADE’s little brother. There are two types of certification – Mac and iPad. Each has a total of nine (could be 10 as they are adding more) and each program has five questions that require you to read a scenario about a project using and determine how to solve it by dragging in answers or selecting from a few choices. The tests are free, so there is no reason not to try. While not available in every country, you can create a new account (with any email address) in a country where it is offered. 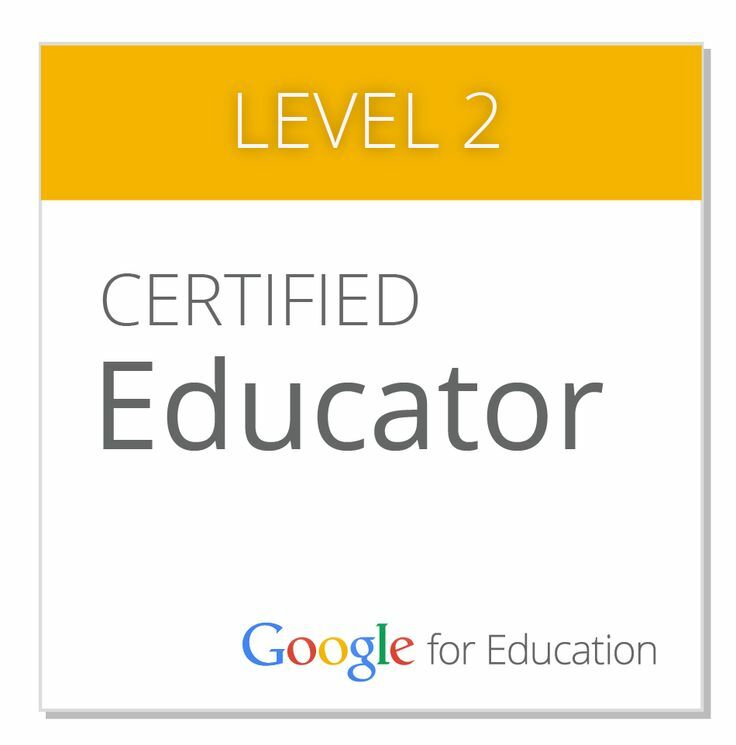 Google Certification has a few different levels beginning with the Google Certified Educator Level 1. From there you can try the Level 2 test. The first two are requirements for the next level of Trainer and Innovator. The Level 1 test is $10 USD and is scenario-based. It takes about an hour to complete. Google supplies study materials and there are Google Plus groups with people discussing how to study for it. Many tech apps or programs offer some sort of certification, two I highly recommend are the Book Creator Ambassador program and Common Sense Media’s Digital Citizenship program. Going through certification can not only show you know how to use the product but also shows a dedication to learning and maintaining a level of proficiency, so go out, get certified, and share your knowledge.